Remembering Martin Luther King Jr. & Civil Rights Efforts - JP loves LIFE! Travel most of the week followed by a redeye and weather-induced issues on traffic, cut my office time to just one day this past week. One of the topics we discussed was the upcoming holiday in honor of Martin Luther King, Jr’s birthday. Sitting here on the weekend, I tried to get photos from my trip organized as well as decide what I’ll be blogging about for the week. Somewhere in the process, I stumbled across photos in my Facebook timeline. A friend had decided to make the 2-3 hour drive to Memphis to see the National Civil Rights Museum. That’s when I stopped the organizing and started capturing my thoughts. Its incredibly fitting that I remember that so clearly because that was a year of so much change in my part of the world. It was the year when grownups really pointed out the color differences in a way. Sure I had heard people say words that referred to color but my mom wouldn’t have let me even think about that sort of behavior. But in second grade, a bunch of my classmates were spending 30 minutes on a bus to get to the neighborhood I grew up in. In third grade I was to have been the one on a bus but things were still pretty contentious so my parents sent me to private school for two years. But the way color was discussed along with civil rights was different and I was in classes with kids whoi may have looked differently but it seemed like so many other things were the same. Soon my closest friends had skintones of all shades. Even though I don’t think I ever saw a King speech live on TV, he continued to be at the forefront of my Memphis experience. Interestingly, it was the year I graduated from high school that a group in Memphis began raising money to create a museum that would mark his place in Memphis and the civil rights movement he championed.By the time the museum was dedicated, I was getting ready to get my master’s degree from Memphis. While its easy to put civil rights into a historical framework, its important to keep in mind that things continue happening around us. With the growing diversity of my family and friends, it seems there is always something that can prompt a glimpse of places we can do better. After the terrorist attacks on New York on September 11, the U.S. was not the most comfortable place for people who follow the teachings of Allah. In fact, eventhough I hadn’t seen the TLC show All-American Muslim before, the recent firestorm that came as a couple of high profile advertisers pulled their ads astounded me. I cannot say the ads were pulled due to the pressure of groups, but the question comes to mind for me and a lot of others.And having a lot of friends who are Muslim, and having seen that the reaction to them isn’t always fair, it makes me wonder. And after the controversy, I suddenly watched the show online. From the spots shown on the web, I think the show had the potential to increase understanding among people of different faiths, that to me is worth a lot. If a “reality show” can help build understanding, then maybe there really is hope. That’s much more likely the kind of show I’d watch than the ones of whiners and complainers that I can flip past fast enough! And there is something to the fact that one person can make a difference. After I posted this I saw this post on the Girl Scouts and some people’s insistence that perhaps we should boycott their cookies based on differences of opinion with how some kids should be excluded from activities. Well, I guess I’ll be buying extra cookies despite my trying to lose weight…. I’ll just find some skinny folks to take some off my hands. Maybe the local senior center could use some. 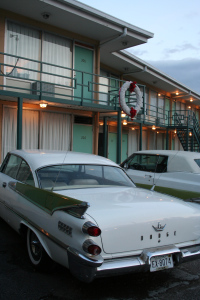 Thoughts on how I observed Martin Luther King’s birthday in Memphis last year. What a nice, informative post. At my swearing-in ceremony Martin Luther King Jr.’s work and speech was a focal point since it was so close to MLK Day. It’s mazing that so many years later we can still learn from his example!!! Thank you. I think it is something everyone wants to think as done but it seems civil rights are something that we have to continue watching IMHO or the get eroded or infringed upon. Awesome post Janice! I love the things you research and write about. Loved this post! I took a trip in high school to Memphis in 2001. My high school group all took a tour of the Lorraine Hotel. That is an amazing memorial. I still get chills when I close my eyes and see that hotel room, the balcony, and the tall vacant building across the street. What an amazing man Dr. King was. Thanks Annie. Memphis was home growing up and again for the last few years before moving to Missouri. I have taken untold numbers of guests to the hotel/museum. I especially enjoy taking kids because they have such amazement that people could be so wrong about other folks… lends lessons for thinking about how we still treat people. Powerful tribute to civil rights efforts! I usually try to hide from girl scouts so I’m not tempted to buy their cookies, but this year I’ll give them more support, too. I ended up buying A LOT MORE! In fact, I bought myself two boxes (dieting made that questionable). I also bought 8 boxes that the Scouts will send directly to the troops (love online ordering) and another 10 boxes that I will take to a local senior home. Lots of benefits!